So it's steamy outside today again and so a real steamy Sunday. 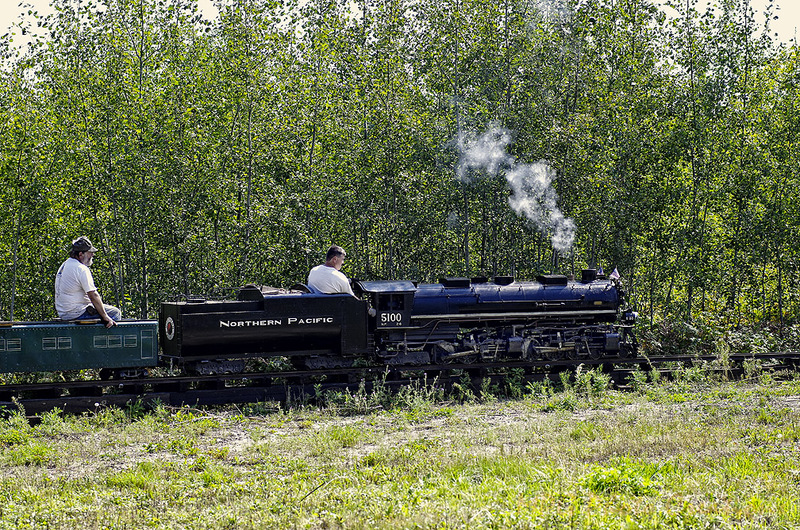 :-) My image goes back to a usually cooler place of Minnesota and a friend's cool 12 inch scale locomotive. It's a Challenger type which is articulated which means it has 2 sets of drivers, 4-6 6-4 so even though it's long it can negotiate sharp curves. 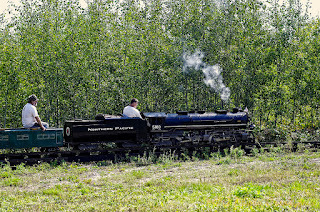 This large scale locomotive is incredibly detailed and beautiful and fun to operate, the front of it seems to go on forever. Here it is heading up a steep grade to the loading area.